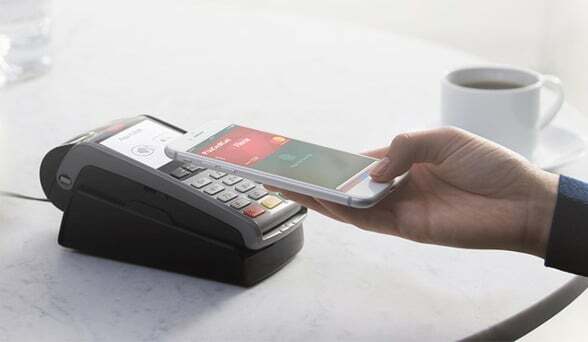 Apple Pay has begun rolling out across Italy with support for Mastercard and Visa cards issued by Carrefour Banca and UniCredit, with American Express, CartaBCC, ExpendiaSmart, Fineco Bank, Hype, Banca Mediolanum, N26 and Widiba listed as “coming this year”. The launch takes Apple Pay to a total of 16 markets globally. The mobile payment service will also work with German payment processor Wirecard’s Boon service, enabling users who are not customers of a specific bank to add a virtual Boon card to Apple Pay to fund purchases “at any NFC-capable point of sale terminal that accepts Mastercard contactless payments”. Notably absent from the list of supporting banks is Italian banking group Intesa Sanpaolo. “We will continue to try to expand our network of agreements,” Italian language publication 24 Ore reports Apple Pay head Jennifer Bailey as saying. The bank launched its own host card emulation (HCE) based mobile payments service called PayGo in January 2016. Some of the retailers accepting Apple Pay in-store include Auchan, Autogrill, Carrefour, Eataly, Lidl Italia, LaGardenia, Limoni, Simply Market, Mondadori Store and more, while in-app supporting retailers include Deliveroo, Saldi Privati and Unieuro. The service is available for users of iPhone SE, iPhone 6 and later and Apple Watch for in-store payments, while payments within apps or Safari is available for those with an iPhone 6 and later, iPhone SE, iPad Pro, iPad Air 2 and iPad Mini 3 and later. “We are excited to bring Apple Pay to our customers in Italy from the very first day of its Italian launch,” says Gianni Franco Papa, general manager of UniCredit. “Apple Pay’s launch in our country is going to fasten mobile payments’ use for millions of consumers who are now able to pay contactlessly with their Apple devices,” adds Paolo Battiston, division president for Italy and Greece at Mastercard. Apple Pay is now fully available in the US, UK, Canada, Australia, China, Singapore, Switzerland, France, Hong Kong, Russia, New Zealand, Japan, Spain, Taiwan, Ireland and now Italy. Android Pay and Samsung Pay are yet to make their launches in Italy.